We believe that the most effective law firms limit their practice to one key area. 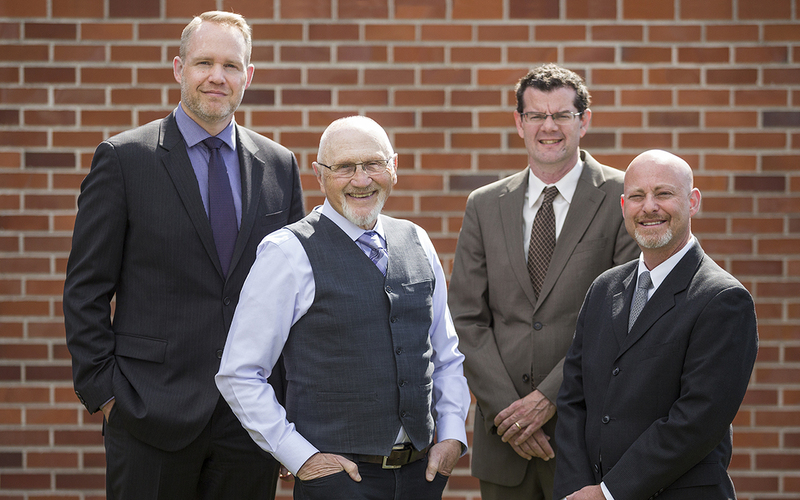 For this reason, Dwyer Williams Cherkoss Attorneys, PC is dedicated exclusively to representing Oregon residents who are involved in serious accidents or who suffer serious injury or wrongful death because of the intentional, negligent, or reckless misconduct of others. Our attorneys do not handle a cross-section of legal cases. Instead, we specialize in personal injury cases including motorcycle accident injuries. At Dwyer Williams Cherkoss Attorneys, PC, we carefully develop our strategy for handling your Oregon motorcycle injury case to fit the specific facts and circumstances of your accident. Sometimes this involves aggressive and innovative litigation strategies while other times it involves building the strongest possible case that would result in successful negotiations or alternative dispute resolution. We understand the inherent risk that every motorcyclist faces: not only are riders are more exposed than drivers of passenger vehicles, but motorcycles are less visible and stable than cars, trucks, and other enclosed motorized vehicles. We frequently represent clients who have been involved in devastating motorcycle accidents and who would not have suffered any significant consequences had they been in a passenger vehicle. When confronted with a negligent driver or a poorly maintained roadway, there is little if any margin for error for motorcycle drivers. Injured in a Motorcycle Accident? Get a Free Case Evaluation Today! In 2015, there were 1,090 motorcycle crashes on Oregon roads. This figure represents an 11.11% increase over the previous year. Those crashes involved 1,203 riders (including passengers), and of those persons, 980 were injured and 60 were killed in the collisions. That's an injury rate of 81.5% and a fatality rate of 5%. In comparison, among motor vehicle drivers involved in Oregon crashes, 34.7% received injuries and .3% (less than one-half of one percent) died. It needn't be surprising that motorcycle riders fare worse in traffic accidents than do occupants of motor vehicles. Car occupants are enclosed in a sturdy metal frame and further protected with seat belts and air bags. While motor vehicle safety increases every year, little is done or can be done to enhance the safety of a motorcycle rider in a collision. Even so, the fact that motorcycle riders are injured more than twice as often as car occupants and lose their lives over ten times as often is a sad and striking statistic that points up the dangers motorcycle riders face on Oregon roads. More than five thousand people per year are killed in fatal motorcycle accidents across the United States and the dangers faced by motorcycle riders are growing at an alarming rate. During a recent seven-year period, motorcycle accident fatality rates increased 78 percent. Because of the inherent safety disadvantages faced by motorcyclists, a biker is 5.5 times more likely to suffer catastrophic or fatal injuries in a motor vehicle accident than occupants of enclosed motor vehicles. The leading cause of death in motorcycle accidents is brain injuries, which often leads to loss of communication ability, mobility, sensation, mental functioning, and other mental processes. The inherent dangers facing motorcyclists make wearing a helmet imperative if riders want to avoid serious head injury. The recent rise in motorcycle accident fatalities is attributed in large part to the decline in motorcycle helmet use. A motorcycle rider who does not wear a helmet is not only at risk for suffering far more serious injuries, but may also limit his or her amount of recovery if not wearing a helmet increased the severity of his or her injuries. Oregon’s driver’s manual is referred to as the “Rules of the Road” and it includes certain “Do’s” and “Dont's” that apply to those riding motorcycles as well as to drivers who share the road with motorcyclists. Oregon’s Rules of the Road defines the obligations and responsibilities of motor vehicle drivers, motorcyclists, pedestrians, and bicyclists. The Rules of the Road prohibits motor vehicle drivers from engaging in certain actions, such as depriving a motorcycle or moped of a full lane. Motorcycle accidents in Oregon often involve devastating collisions between a motorcycle and a car, truck, or SUV. Motor vehicle drivers who share the road with a motorcycle have a duty to drive in a manner that exhibits reasonable care to avoid causing injurious accidents. This law is meant to protect motorcyclists because the injuries suffered by bikers in collisions with other vehicles are usually catastrophic and frequently deadly. These injuries can mean paralysis, serious brain trauma, damage to the spinal cord, amputation of limbs, and a life-long need for rehabilitative or supportive care. Too often, motorcycle accidents end in fatality. When you file an accident claim against a negligent driver, their insurance company will hire lawyers to defend their insured. If the insurance company doesn't outright deny that their insured is liable to you, the first thing they are likely to do is offer you a quick cash payout to settle your claims. If you have not already contacted an attorney of your own, the insurance company will take advantage of this fact by making it seem like their offer fully compensates you for your damages or is the most they can pay, but this is far from the truth. Offers made to unrepresented persons are far below the actual value of the claim. An experienced personal injury attorney will know what your claim is really worth and will be able to advise you on how much you should accept, and represent you in negotiations with the insurance company for a fair settlement. This is particularly important in motorcycle accident cases, where the injuries and damages involved are more likely to be extensive and long-lasting. If your claim is contested by the insurance company, it is highly likely they will try to shift blame or fault for causing the accident away from their insured and onto you. Insurance company lawyers know how to play to common jury member biases that motorcycle riders speed and drive recklessly or aggressively. Every percent of blame they can pin on you reduces the amount of your recovery by the same percentage, and if they convince a jury you are more than 50% to blame, you can be kept out of any recovery at all. Your attorney will work not only to establish the other driver's negligence and fault in causing the accident, but will also fight strenuously to keep you from being saddled with any portion of blame that is not supported by the facts of the case. We are here to answer your questions and to help you move past any tragic motorcycle accident that you or a loved one has experienced. If you need help, call our law firm at 541-617-0555 or visit one of our offices located throughout the state of Oregon.